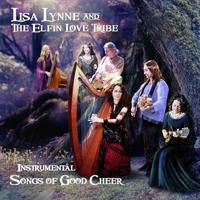 Lisa Lynne: inspirational, uplifting, gentle, and soothing celtic harp, world flutes, guitar and more..
Lisa Lynne is a multi-instrumentalist and performer who has gained worldwide recognition for her original music featuring her Celtic Harp. She specializes in Traditional acoustic folk instruments and is widely acclaimed for composing memorable and heartwarming melodies that transcend category and genre. 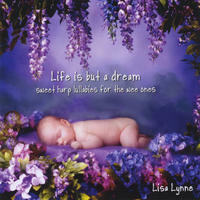 Lisa has made numerous television and national radio appearances, including NBC, CNN, and Fox News Atlanta. She has been featured in multiple newspaper and magazine articles including Wall Street Journal who spotlight not only Lisa's groundbreaking work in therapeutic music programs, but her grass roots business savvy and innovative approach to life. Lisa's music is heard throughout the award winning PBS special "Alone in the Wilderness," amongst many other soundtracks for commercial television and independent films. 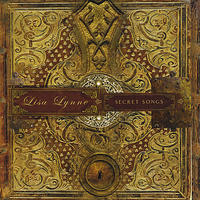 All of Lisa's recent album releases have placed in the top 20 of the Billboard music charts (Hopes and Dreams reaching #6) as well as holding top spots in the Celtic, New Age and world music radio airplay charts. Lisa's year round touring schedule keeps her busy performing at festivals around the United States as well as concert dates with the Windham Hill tours. She divides her time between traveling and her home in California. She goes back and forth from San Francisco to Los Angeles where she is founder and director of "Harps for Hearts" an innovative music program that places live music and musicians in several California hospitals, including City of Hope National Cancer Center and several Kaiser Permanente locations. Lisa has received multiple grants and media recognition for her groundbreaking interactive "Hands-on-Harps" interactive programs. Lisa was recently chosen and one of LA's 50 most inspiring women by Los Angeles Magazine. In addition, Lisa Lynne is active on the speaking and workshop circuit. 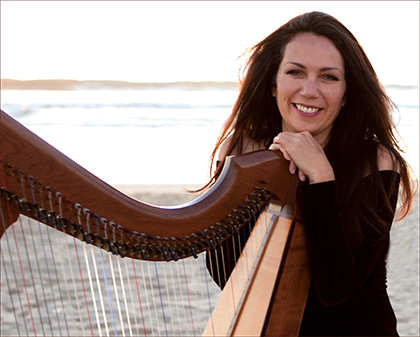 Her inspiring storytelling presentations incorporate live harp music with her unique life experiences. This combination of enchanting life wisdom with clear planning guidance for "living your dream and making a difference," proves to be an uplifting and highly inspirational event. In addition to her solo work, Lisa in involved in several joint partnerships on Magnatune as well, check out her music with George Tortorelli and Aryeh Frankfurter. [ADD HTML LINKS HERE]. George and Aryeh also play with Lisa in her group "Lisa Lynne and the Elfin Love Tribe" (which will be released on this solo page) along with Marla Fibish, an Irish mandolin virtuoso, Shelley Phillips who is well recognized harp, oboe and flutist and Tracy Grisman, the wife of David Grisman who played bass. You can find out more about Lisa on her 크레이지슬롯 사이트website. Lisa Lynne lives in California, USA. 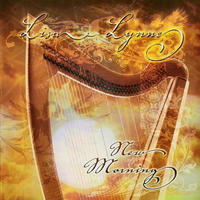 Tagged as: New Age, World, Celtic, Harp.